Do you need an installer? We can help you find an OFTEC approved engineer. Please complete a simple form using this link or give us a call and we'll help you. The Oil Firing Technical Association (OFTEC), the Federation of Petroleum Suppliers (FPS) and the Environmental Agency (EA) have produced a series of information sheets and guidelines on siting, installation and maintenance of oil tanks. The FPS is the trade association for the downstream oil distribution industry in the United Kingdom, Channel Islands, Isle of Man and Republic of Ireland. FPS members are the responsible for the delivery of the majority of heating oil to consumers in Great Britain. The FPS produces a series of briefing notes and guidance for the specification, design, installation and maintenance of oil tank installations. IMPORTANT INFORMATION Every effort is made to keep this area of the site up to date. However, Fueltankshop.co.uk cannot be held liable for errors and omissions. Legal compliance is the user's responsibility. If you have concerns over compliance, you must seek professional advice, or contact your or local building standards or environmental authority. 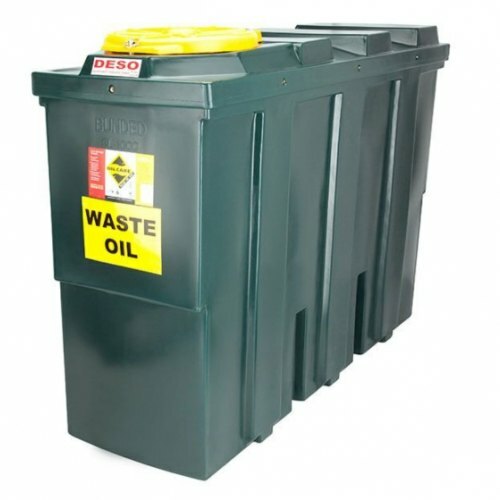 Additionally, Fueltankshop.co.uk recommends that all oil tanks should be installed only by a competent person, registered with The Oil Firing Technical Association (OFTEC). Please note that Fueltankshop.co.uk will not be responsible for any oil tank installation which is non-compliant with prevailing statutory requirements.